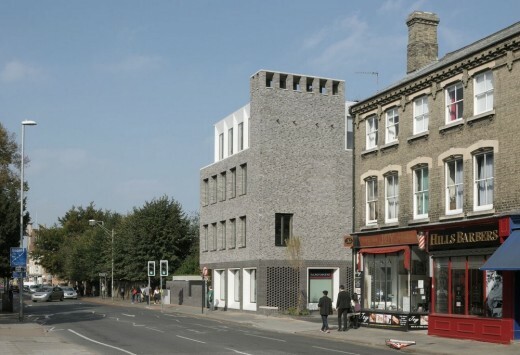 Hackney-based architecture practice Gort Scott has secured a record BREEAM rating for 51 Hills Road; an 880 sqm contemporary office project in the central conservation area of Cambridge. 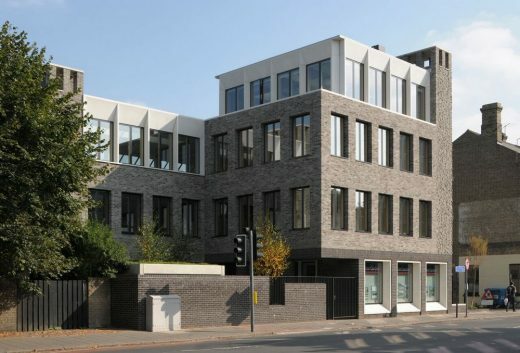 The Jesus College owned building, which provides much needed high quality, modern office for Cambridge, has achieved the highest BREEAM rating for any building in the city. Gort Scott, which led the project from its concept to interior fit out, has delivered on the brief for a contemporary and sustainable commercial office space that is flexible enough to be let to a single tenant or multiple occupiers. 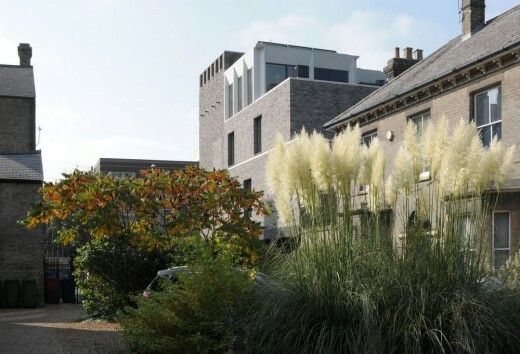 The site lies within Cambridge’s central conservation area and had to meet several challenging planning requirements. 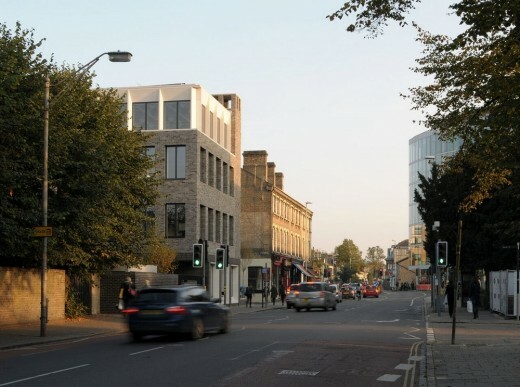 Previous attempts to develop the former garage block had failed, with plans for two three-and-a half-storey blocks of flats rejected in 2003. The new L-shaped building features warm grey brick cladding, blending well with the surrounding built environment. The entrance to the building is via a colonnade and through a landscaped courtyard that provides a valuable amenity for occupiers. The four-storey building is designed to be naturally ventilated, allowing high levels of control for the occupier and greatly reducing overall running costs. Due to the noisy street location and the ensuing sound pollution, traditional cross ventilation was not a suitable solution. 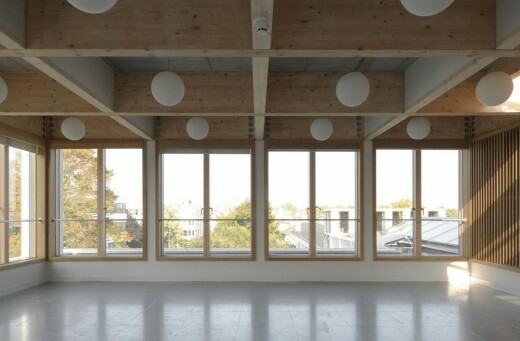 Instead, Gort Scott designed natural ventilation stack chimneys located on the corners of the building, drawing fresh air across the floor plates. Christopher Pratt, Fellow and Bursar, Jesus College, said: “Jesus College is delighted with the appearance, the green credentials and the economic outcome of the building. “Both informed observers and passers-by as well as neighbours have praised the quality and variety of the brickwork and the restrained but stylish façade materials, while professionals and tenants alike have warmed to the natural ventilation and the excellent internal layout. The ground floor has been let to local estate agents Tucker Gardner. Richard Murphy Architects to develop proposals before a formal appointment is made. Outline by RMA: “The project is for, in a first phase, a 290 seat music auditorium, foyer, practice rooms, etc and a 70-bed boutique hotel. A second phase indicates a sports hall/studio theatre and third phase a Research Institute. For the time being the College has asked us not to publish the drawings.